Apple will most likely delay 5G iPhone until after next year. Even though some companies are planning on having 5G smartphones out next year, it seems as Apple is going to sit 2019 out. According to Fast Company, we won’t see a 5G-enabled iPhone before 2020. 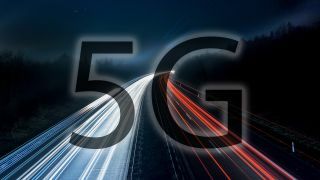 It seems as one of the world’s largest tech companies is deciding to give 5G another year in order to give Intel enough time to develop the perfect iPhone 5G modem. Intel’s current 5G modem, the model XMM8060 is built for devices that are bigger than smartphones. However, the 10nm XMM8161 chip, which will be used in mobile phones, will arrive by the end of 2019. Fast Company also says that Intel has had trouble with its 5G modem and its heat dissipation. In case Intel fails to fix the issues, the media are saying that Apple might turn to MediaTek for help. Next year, we are expecting a whole swathe of 5G-enabled phones, from the Galaxy S10, to the OnePlus 7, to Huawei’s P30. Xiaomi, a Chinese company known by its bezeless Mi Mix model, was the first company to release a 5G-enabled smartphone, the Mi Mix 3. And even though the world’s first 5G network was turned on by Verizon in Los Angeles, Sacramento, Houston and Indianapolis, it was Estonia where the first 5G phone call was made.